Leaves, rain, temperatures, even a dash of snow are falling! In light of the recent ice, snow, rain, and freezing temperatures which have crossed the U.S. as we approach our Thanksgiving holiday, I just wanted to say I hope you all are safe, warm, and not without power! If the past week or so is any indicator, then I fear we are in for a rather frigid winter this year. Last year we only got down into lows of the 20s a handful of days. Last week we were in the 20s every night, and it's only November! Thankfully, it's been above freezing with the rainfall. Even so, we are prone to power outages due to ice storms, so if you don't hear from me for awhile, you'll know why! Wishing my American readers a very Happy Thanksgiving! I sometimes wonder about the budget impact of telecommunications in any given family: telephone(s) both land and mobile, internet, and, of course, television. I'd be curious as to the average folks spend on this, or what percentage of their budget it consumes (ours is 4% for internet, land line, and one cell phone). Even those of us simplifying our lifestyles or going off-grid agree that at least internet and telephone are true necessities these days. I don't have any suggestions for cheaper telephone and internet service. We don't have a television connection for our old analog job, so I have even less to say on that, except that the library is a great place to check out free DVDs. I can make a few suggestions regarding computing for the frugally minded, as in, proprietary versus open source resources. Proprietary refers to that which belongs to a proprietor, or owner. In the computing, proprietary is "closed source," meaning that the source codes are owned and maintained by the owner and are not available to the public. We can use their operating systems or software after purchasing a license to do so. For the operating system ( abbreviated OS, usually Windows or maybe Mac), and some of the preinstalled software, the price of the license is included in the purchase price of the computer. We register the software and licenses when we first set up the computer. Of the software preinstalled installed on new computers, some of it is only offered on a trial basis. After that, we must purchase a license to continue using it, or substitute something free, but with less bells and whistles. If you read your license agreements, then you know that legally you cannot sell a software disc after you've installed it on your computer, because the software doesn't belong to you. Even the fonts are licensed! In trying to self-publish a book, for example, one must pay for those fonts because the license doesn't include print publications. If we go online (and who doesn't), then we must have antivirus programs, firewalls, spyware programs. A few are free, but the best ones come with a subscription and annual fee for renewal. Open source refers to operating systems and software whose source code is available free of charge for the public to use, copy, modify, sublicense, or distribute. A detailed definition can be viewed at the Open Source Initiative, here. For every proprietary OS and program, there is an open source alternative. The disadvantage, is that there is a learning curve. Plus, we humans like what we're used to. We know where the menus, buttons, and icons are, and we know how our software programs can meet our needs. No new tricks for this old dog! I mention all this for a couple of reasons. Firstly, the costs do add up. Those of us looking for frugal alternatives in all areas of our life should consider frugal computing. Also, if you are a Windows XP fan, you are going to be faced with a learning curve anyway, because support for XP is ending on April 8, 2014. You might as well consider your options. My Xubuntu desktop. You can click to enlarge a bit. I like Xubuntu because it has a more traditional interface than the newer operating systems. 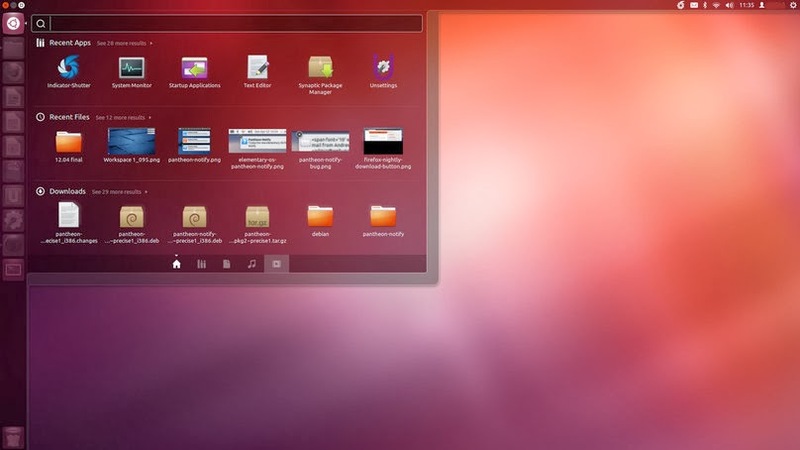 If you like the look of Windows 8, you might prefer Ubuntu. The Unity Heads-Up-Display with Dash search function. 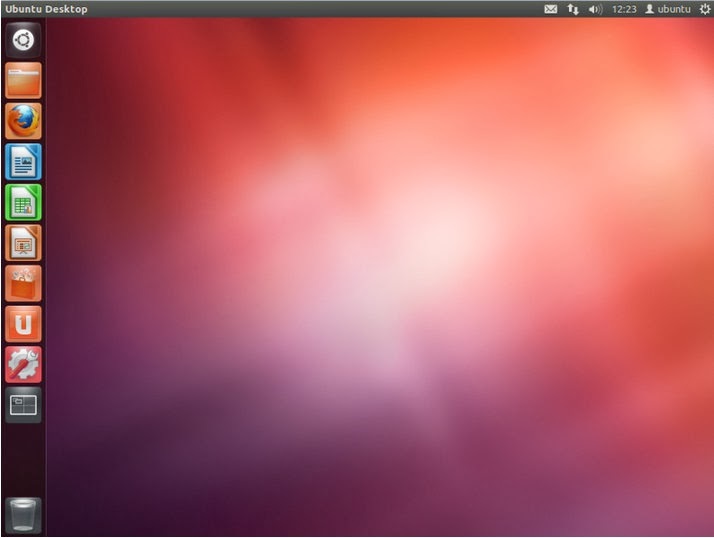 In fact, Ubuntu utilizes the search feature instead of menus. Another user friendly possibility is Linux Mint, which is based on Ubuntu, and almost as popular. 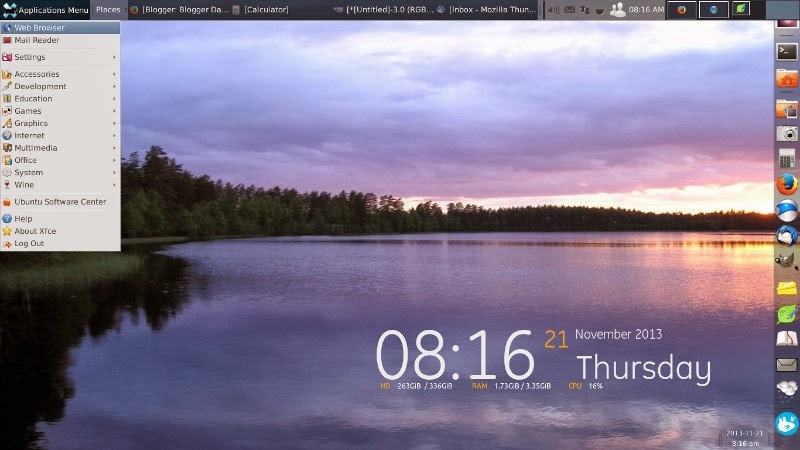 It can be installed with a choice of desktop styles, including the one that comes with Xubuntu (called Xfce desktop). Another good introductory Linux system is Linux Lite, also based on Ubuntu. Software? Thousands of choices are available from the Ubuntu Software Center, which is included as part of the installation package on both Ubuntu and Xubuntu. For a more thorough look at the open source advantages vs. disadvantages, click here. I know this post seems a little off topic, but as we analyze how we spend our money and how to be less dependent on the consumer system, even things like computer use should be considered. For me, it feels like one step closer to freedom. Firstly, let me apologize for my somewhat fuzzy photos. I dropped my camera the other day and am now having problems with the lens - it's stuck. It won't retract when I turn off the camera, and it can't focus. I'm lost without my camera, but at least can get a few shots for you. Here's what's happening in my garden in November. Harvest: the last of the tatume squash. behind have been mulched with our abundance of leaves. My garlic is doing well. Behind, is that huge cushaw I showed you earlier. weather. I picked it the next day. It weighs 30 pounds and is 29 inches long. been so dry the past month and a half, they haven't had a chance to sprout. I was dismayed when I realized I had no turnip seeds to plant for fall! Happily, two volunteer turnips are obliging me. These will be for seed. reason to come back now that they've eaten all my beets. Swiss chard and parsley I potted when Dan tilled the beds they were in. The last of the okra pods to dry for seed. 1st harvest of Jerusalem artichokes. I'm going to lacto-ferment these. Tomato relish and the last of the countertop ripened Amish Paste tomatoes. the guineas had taken over! They appeared pretty pleased with themselves. Remember this photo from my "Not Pumpkins" post? These are actually mature Tatume summer squash rather than pumpkins. Once I figured out they were Tatume summer squash that I'd accidently let mature, I didn't know what to do with them (besides regret that I hadn't picked and eaten them earlier). But because they looked like pumpkins, it occurred to me to try them in a "pumpkin" pie. That pie was only so-so, not a repeatable experiment. What I did learn, is that even mature, the squash remained mild-flavored, even sweet. Still very edible. Being summer squash, however, they were not keeping well. So I spent a good part of last week de-seeding, steaming, scooping, and making soup. The squash mashes very well and makes the soup thicker and heartier. That's how we like it. The rinds were very tough, I had to saw through them! The seeds were scooped out first and fed to the goats and chickens, The halves were steamed until the flesh was tender. Since I was making soup to can, I figured it was a good time to clear the freezer of all the bones I'd been saving to make bone stock. That became the liquid base for those soups. The rest of it was just a matter of adding whatever I could find, Scrap Soup in a jar! Squash and kale soup based on a recipe from Farmer John's Cookbook. on the garlic (good harvest this year), so I named it "Tatume Garlic Soup"
the last of the roast, more canned tomatoes, and the squash ,of course. more chicken, dehydrated onions, and chopped carrots for a little color. wine pickled beet brine. I also added recently harvested sweet potatoes. Besides the soups I also froze half a dozen or so quarts of mashed squash. It's a real treat with butter, salt, and pepper. Katy begged and begged for some squash while I was scooping it out. She was less than impressed, however, when she actually got some. It's so nice to have all these convenient homegrown soups on my pantry shelves. I won't have to worry about what to have for lunch for a long time. In my all years of canning, something that has remained elusive is a crisp home canned pickle. My pickles have been good flavored (depending on the recipe), but kinda limp. Very disappointing compared to crisp, store bought pickles. I've researched this from time to time and tried several recipes claiming to produce crisp pickles. In my early days of pickle making, pickling lime was said to be the key to crisp pickles. When I investigated this, I ran across a cautionary statement warning that pickling lime can be dangerous to use. All I saw was "lime" and "dangerous" and became alarmed. For years I assumed that lime was a poisonous food to eat! Then I bought Nourishing Traditions and learned about pH and how certain foods react to it. I was shocked that lime was recommended for nixtamalization of the corn. This is the process of soaking corn in an alkali solution to increase nutrient content, digestibility, and flavor of the corn. It is a common practice for all corn products in Mexico. When it came to my pickles, I realized the problem was not the lime itself, but the pH. To be safe, water bath canning is recommended only for acidic foods. By using lime to crispen pickles, the danger would be that the pH might not be acidic enough for water bath canning. Pressure canning them would turn them to mush! Because of that, I decided not to try lime in hopes of a crisper pickle. A couple summers ago, I ran across a recipe touting crisp results without the use of a pH changing agent. The recipe called for soaking the cucumbers in ice water or in the refrigerator overnight. I decided to give that recipe a try. I have to say that the pickles themselves were delicious, but not very crisp. This summer I probably would have used that same recipe but couldn't find it. I thought about my Practical Produce Cookbook and decided to look there for a recipe. I like this cookbook because it's arranged alphabetically by vegetable. 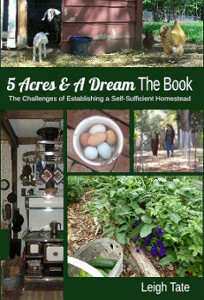 Besides recipes, it includes gardening and harvesting tips which I find useful. I decided to try the "Fresh Pack Dill Pickles" on page 91, because the recipe gave ingredients in proportions. That meant I could adjust it for as many cucumbers as I had. There are 1000s of pickle recipes out there but this was the first one I'd seen with instructions to fill the jar with boiling pickling solution and then put the jars into the canner with the water already boiling. Timing starts immediately, as soon as the jars are put into that boiling water bath. Usually I turn off the heat after I scald my jars, turn it back on with all the jars are filled, and then start timing when the water starts boiling again. This recipe never said anything about "crisp" or "crisper" but those pickles are. Crisper I mean. They don't droop and actually have some crunch! And delicious too. It's a keeper of a pickle recipe. I can only assume that it was the processing that made the difference. It would be interesting to try this technique with other recipes, although I like this one very well. Made with my fresh garden cucumbers, garlic, and onions, plus homegrown dill, I can't imagine changing a thing. I'd be interested in your pickling experiences. Are you satisfied with the crispness of your home canned pickles? I'd love to hear your tips! We've been keeping chickens for about four years now. We started with a batch of mail order chicks and have had hen hatched chicks too. I've also had successful adoptions by slipping mail order chicks under my broody hens at night. The success that's remained elusive, has been getting the older chickens to accept the new chicks as part of the flock. Our first year with this was our worst experience. I put a broody Welsummer into the goats' kidding stall with nine home-laid eggs and gave her Buff Orpington chicks at night. All the other chickens could see them through fencing, but not get to them. When I first let the new chicks out, they had their own area. Eventually they began to mingle with the original flock. next door neighbors got chickens, so perhaps it doesn't matter so much. Two chickens in particular were constantly chasing and attacking the newcomers. These were my Barred Hollands. Lord B, our rooster, was extremely possessive of the coop, chicken yard, hens, and anything he thought they might like to eat. He was persistently aggressive toward the chicks and finally killed one of them. Eventually, we had to eliminate him. The next year I wasn't ready for another broody hen, because I was still trying to figure out an area for hatching and brooding when the kidding stall was otherwise occupied. I had one, however, and this one was persistent. I finally gave her three eggs, of which one hatched. My three Speckled Sussex hens drinking whey from mozzarella making. I set up mama and chick in a pen in the chicken yard. They kept getting out so I just let things be. With only one chick to guard, she was able to keep him safe from the other chickens. Eventually mama returned to the flock and I had a lone rooster who was always by himself. However, we only keep one rooster and he wasn't it. This past year I decided to try something different. We hadn't been all that impressed with our Buff Orpingtons so when one of them went broody, Dan wanted to get some Silver Laced Wyandottes and I wanted some Speckled Sussex. I decided to fence off a nesting and brooding area within the coop itself. I hoped that this way, the chicks would be seen as part of the coop territory. They remained in their brooder area until they got too big and I had to let them out. Nothing stops the "initiation" rites amongst chickens. The pecking order is very specific and no chicken wants to lose her place. The oldest chickens are always on the top and always have first rights to anything chickens want: food, tidbits, water bucket, and the top roosting bars. Eventually, after much pecking, many squabbles, and considerable chasing, every chicken knows their place in the chicken order of things. The best I could hope for was that they reached that understanding quickly and that no chicken was totally rejected or killed in the process. The biggest trouble maker was our Buff Orpington rooster, Cowboy. He wasn't as viscous as Lord B had been, but he seemed to take great pleasure in sneaking up behind a young pullet or cockerel, grabbing a beakful of tail feathers, and strutting around proudly with those feathers in his beak. Cowboy's legacy: 6 out of 6 eggs were pullets! A pullet is a young hen under 1 year of age. Well, we'd already decided to have a go with the Wyandottes, so Cowboy and the three Sussex cockerels were the first elected for freezer camp. That leaves us with about 20 hens of six breeds and 3 SLW cockerels from which to eventually choose a flock rooster. The good news was that the chicken yard battles gradually began to smooth out and I noticed the chickens simply hanging out together. Chickens hanging out by the fenceline. Why there? I don't know. One other thing seemed to help. That was moving the feeder out of the hen house and into the chicken yard. Food is always something animals are possessive about, so I figured moving it out of the coop would make it more neutral territory. I cover it at night and move it back in when it rains, but otherwise, this has worked very well. Eventually we'll get down to one rooster again. I also still have some of my original hens, so I'll have to see how laying goes after they finish their moult. The Welsummers laid extremely well in their fourth summer, which I think recommends them. Free range hens are said to lay as long as 10 year, although production decreases. For now, we'll sit tight and wait and see what the future brings. 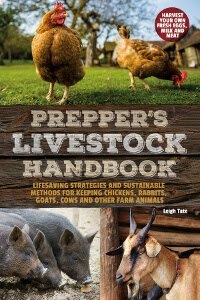 I would love to hear your experiences regarding chickens, chicks, laying, brooding, and integration! Please do take time to comment. Remodeling and upgrading our old house has been on ongoing project since we bought it. I've always appreciated your interest, comments, suggestions, and ideas. I also enjoy visiting your remodeling blogs and posts! For awhile I was trying to keep track of projects on a blog page, accessed by the "Remodeling" tab under the header photo. It was a helpful when I needed to refer back to something, and I hoped of intereste to others with similar projects. Gradually, however, the page became harder to keep attractive and orderly, so I decided to try something else. The "Remodeling" tab is still there, but now it links to a new site for keeping my remodeling posts handy and organized. It's much easier to navigate and find things, and I will add to it as I add posts to this blog. Please give it a looksee!